Hi everyone, firstly may I send huge apologies for my delay in writing a new blog post, but life has been a bit of a challenge of late. I will not go into the details of it all, but suffice to say that although I am a student of business at the moment, some of my greatest lessons these days have been much removed from the surrounds of a university lecture hall, and leaning more towards the daily challenges we all face. Life brings its own lessons and these are the stuff life is made of. Still, life goes on, and we learn to roll with the punches. I have been in such a place of busy-ness, schedules and decisions of late, yet even in all of the activity it has seemed at times that all was hushed and quiet in my soul. Some have said “Hey Denise, I miss you!” to which I replied, “Hey, thanks, I kinda miss myself too!” Not having the time available to drop everything and do the things I most love, I have somehow missed the most ‘creative’ parts of my daily routine. So today, in the midst of a busy schedule I have taken time out, just to write this life lesson that has found a place in my heart over the past month. So thanks for your company and allowing me to ‘be’ with you, getting lost in what I love…writing! Please let me tell you something precious, which hopefully will resonate in your own heart too. Through all of the busyness and activity, I have felt God holding me gently in a place of stillness. 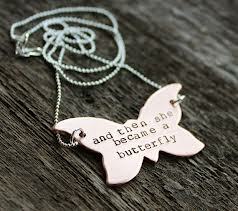 I have always loved butterflies, and lately I have found myself captured by one butterfly quote after another. They are all gathered together in my journal as I speak (or type) ~ but it is more than the beauty of a butterfly that has captured my imagination these days, it is the cocoon: the process of stillness, change, darkness, waiting, pondering, and patience. I can only say that in these nights of deep thinking, processing and change, I am seeking to learn the art of the still life. So what does the word still mean? Some would say it sounds easy, relaxing, blissful, and such a beautiful endeavour. The activist in us would say otherwise, finding it hard to relinquish control over a desired outcome or process. I have learned that to ‘be still and know’ is not always an easy option, but nonetheless it is the best practice for a true believer. So back to my cocoon, or the lessons thereof : Do you think the caterpillar knows it will suddenly emerge from this dark, lonely place of confinement, as a stunning winged creature of amazing beauty? Does it realise that in the dark, everything it ever knew or experienced to date, is about to be utterly transformed into a vibrant, new existence where it will know flight and freedom like never before? Does a butterfly, one day catch a glimpse of a stunning reflection as it flutters above a calm lake and only then realise the magnitude of this change? There is nobody in the cocoon to talk it through the changing process, and how true that can be for us too. I never want it to be said of you or I, “They never flew!”… I want to live my days in courageous colour, displaying all of the wonderful qualities my Maker has bestowed in me. I want to find the strength to fly and leave no room for regrets. There is a time for stillness, but then comes the time for flight where we say, “Goodbye Cocoon, I’m going UP!” …the sky awaits. Absolutely beautiful. A charming gift that inspires. I thank you for sharing this message. I will reflect deeply on your words. God bless. Wonderful to see you’ve posted something new. 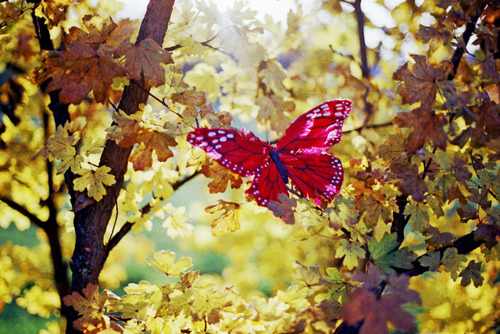 Sharing your happiness that the butterfly is taking flight. Love you, sis! Wonderful to read your heart once again. We love you and that you are willing to share what is precious to you and the work the Lord is doing in you. We always learn so much and find so much in common in our own lives. The waiting in the stillness, the struggle, and then we will fly!